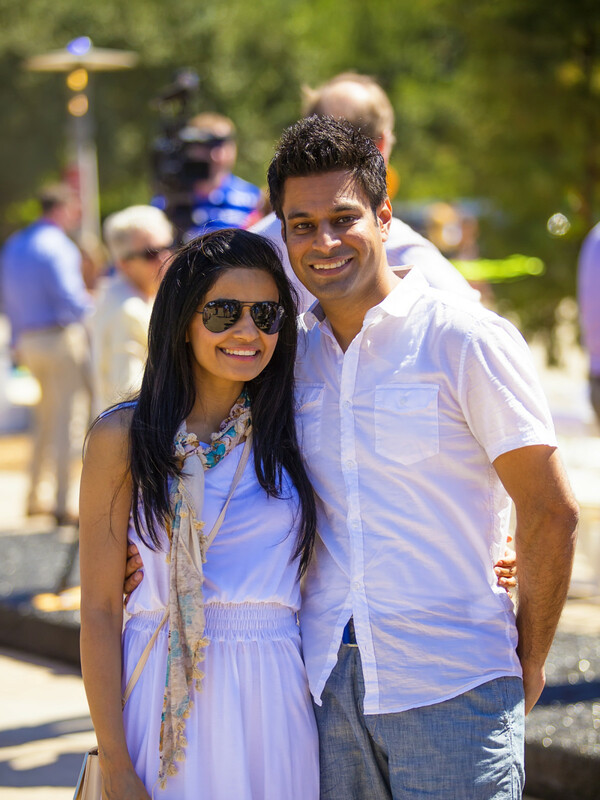 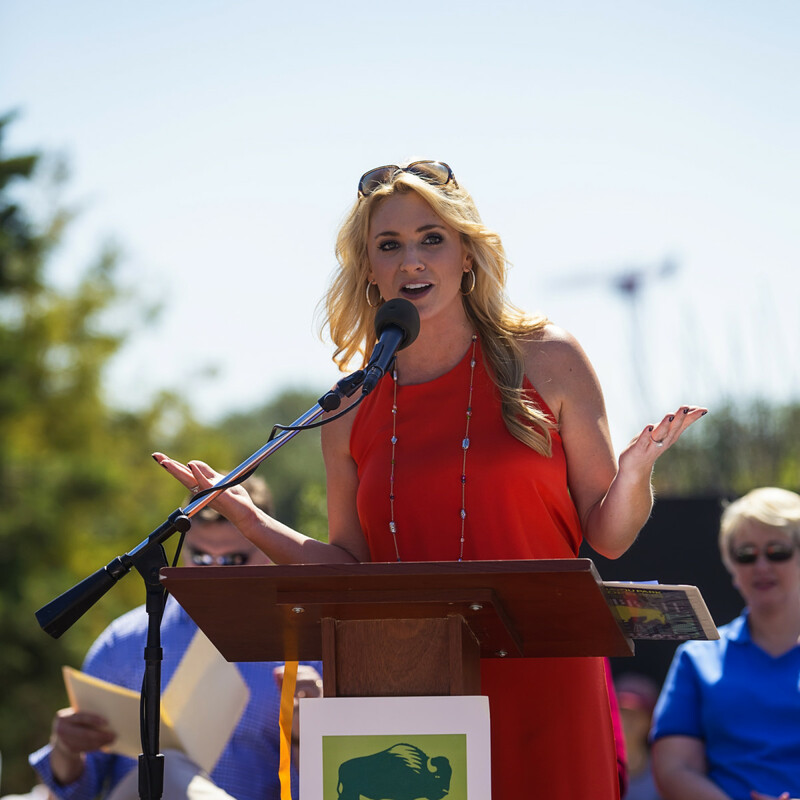 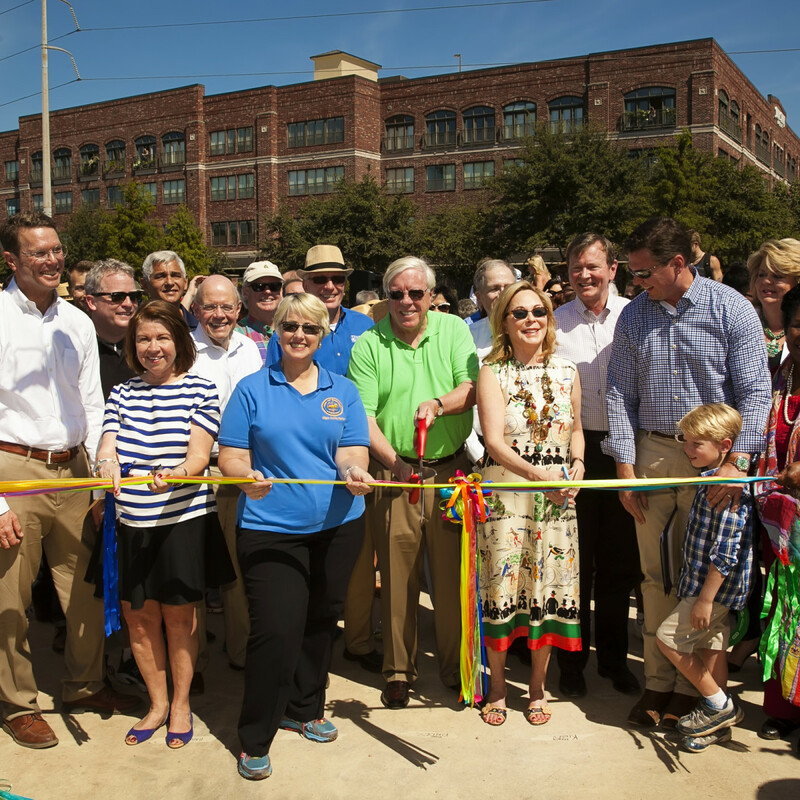 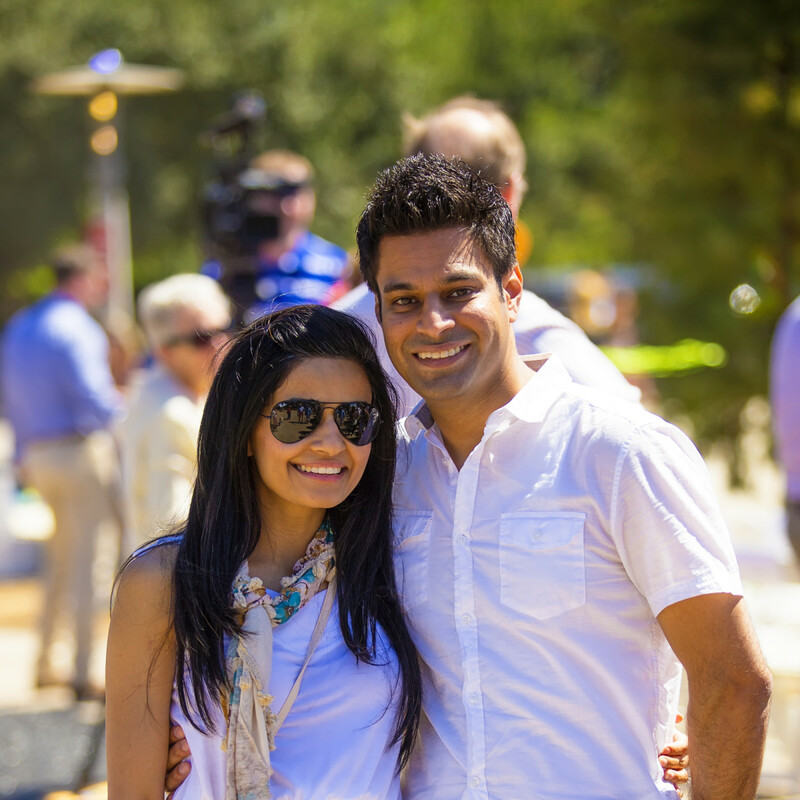 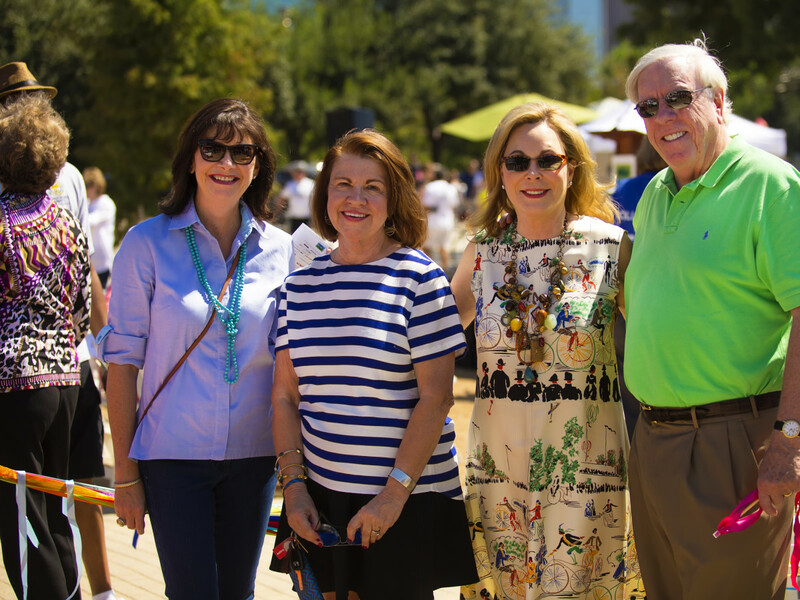 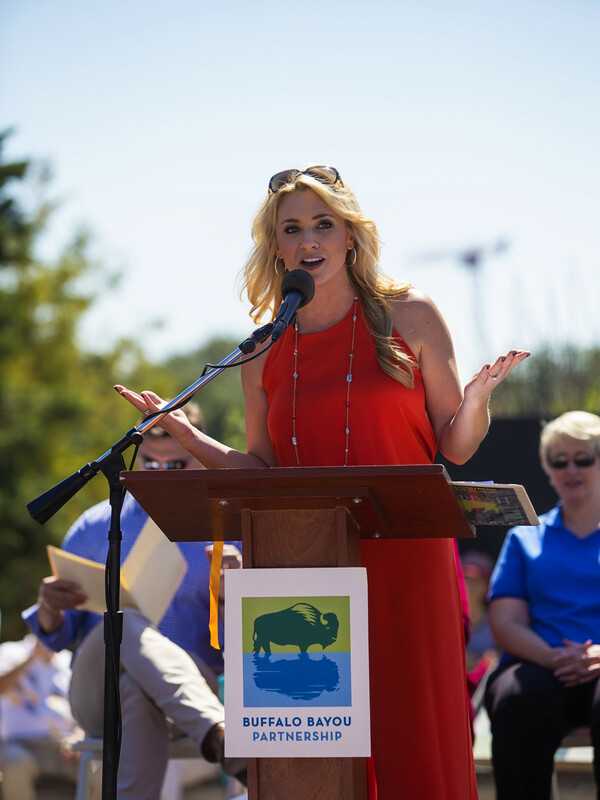 There could not have been a more perfect day for the official ribbon cutting at Buffalo Bayou Park than that which welcomed thousands of visitors on Saturday. 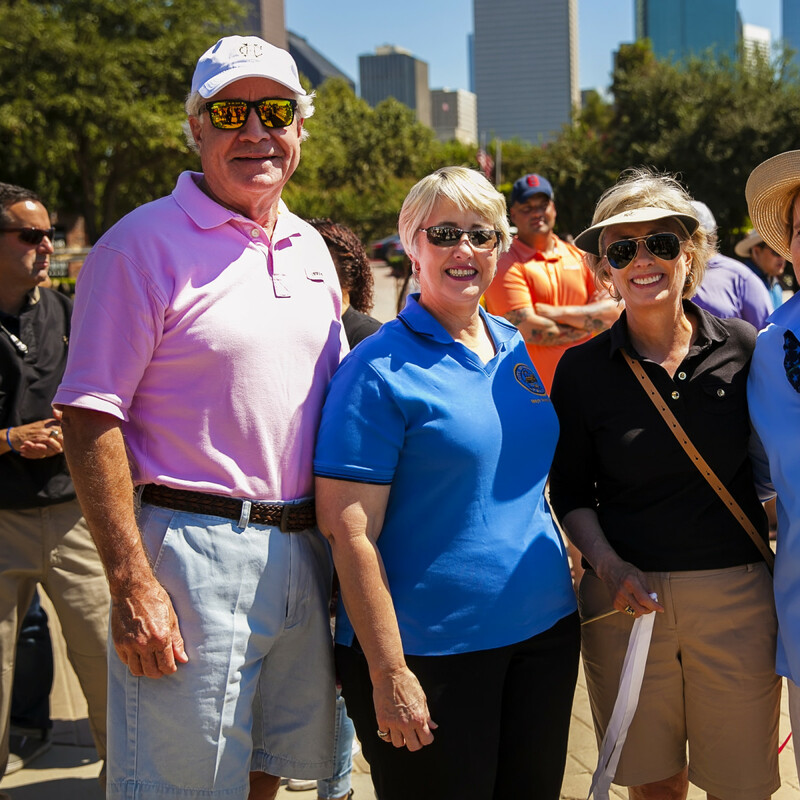 Ribbon ceremonies with the mayor began early afternoon with activities continuing throughout the day with the big event launching just after sunset. 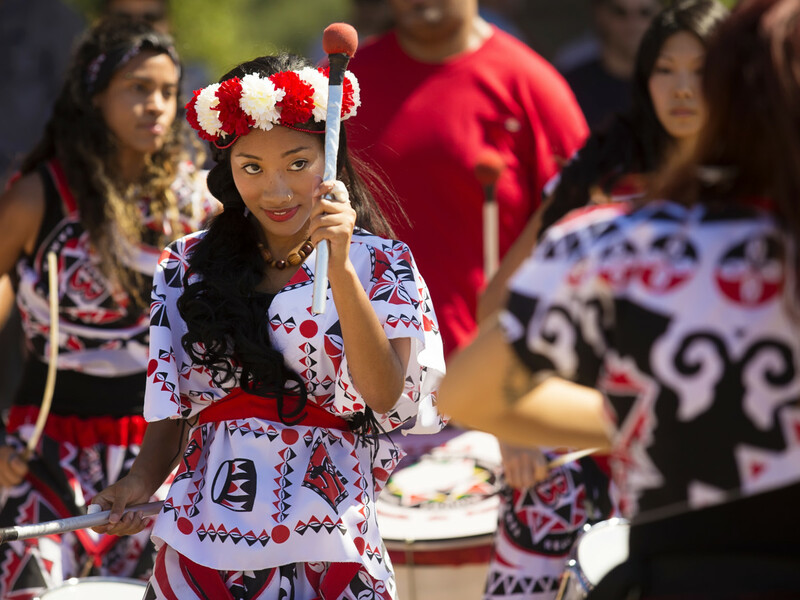 With the boom of drums by Batala, an international Brazilian percussion group, Nancy and Rich Kinder, the park's major benefactors, cut the ribbon that was held by dignitaries including project director Guy Hagstette, Buffalo Bayou Partnership president Anne Olson, Mayor Annise Parker, Congresswoman Sheila Jackson Lee and Houston City Council member Ellen Cohen. 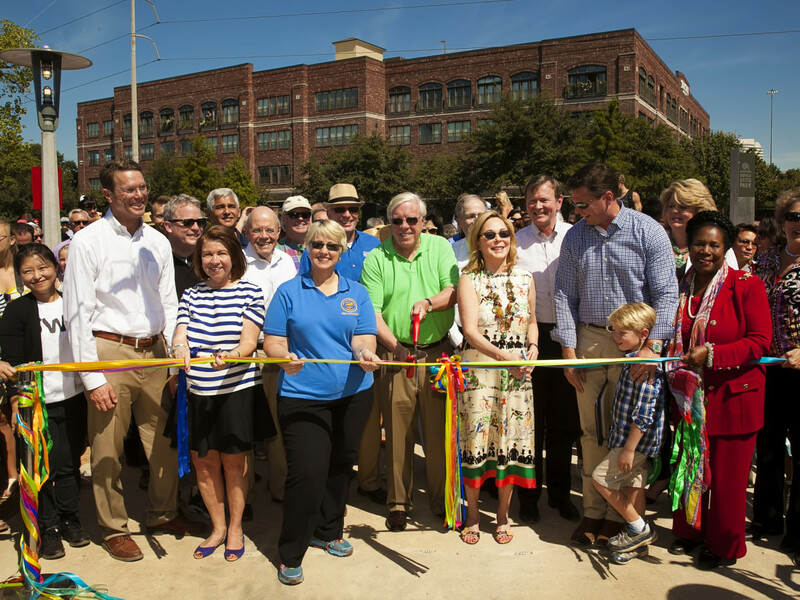 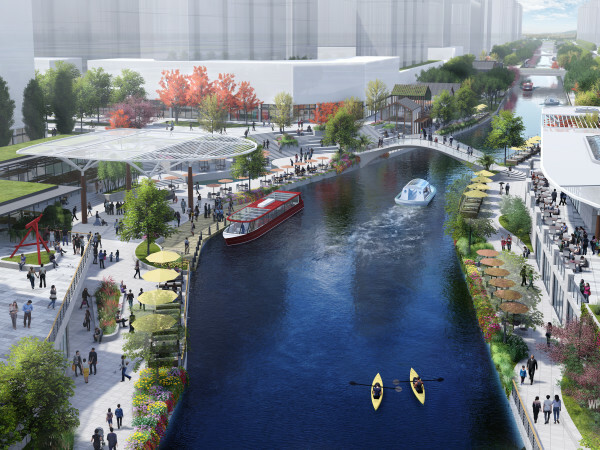 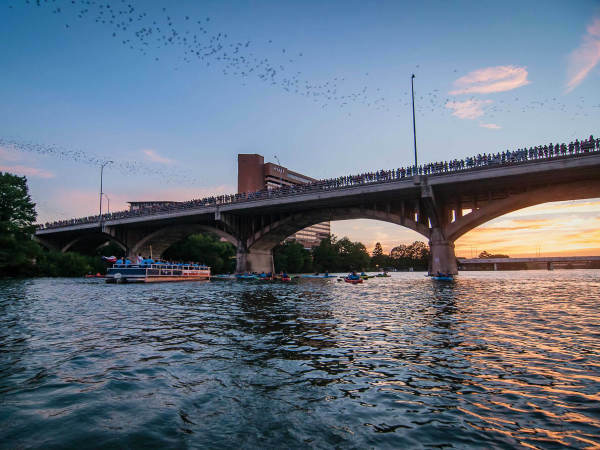 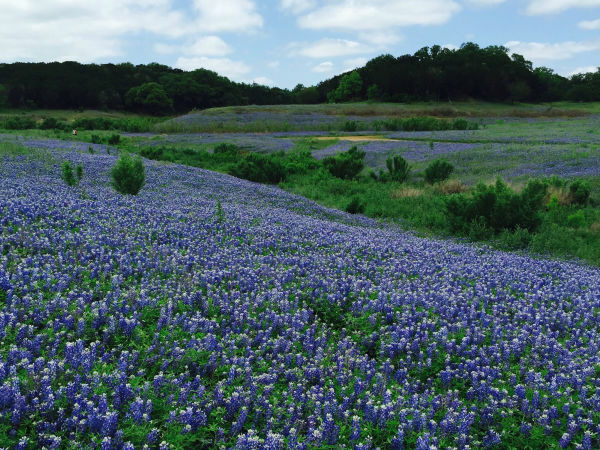 And with that the 160-acre, $58 million park — a public-private partnership led by Buffalo Bayou Partnership, the City of Houston through the Houston Parks and Recreation Department, the Harris County Flood Control District and the Kinder Foundation — was officially open for business. 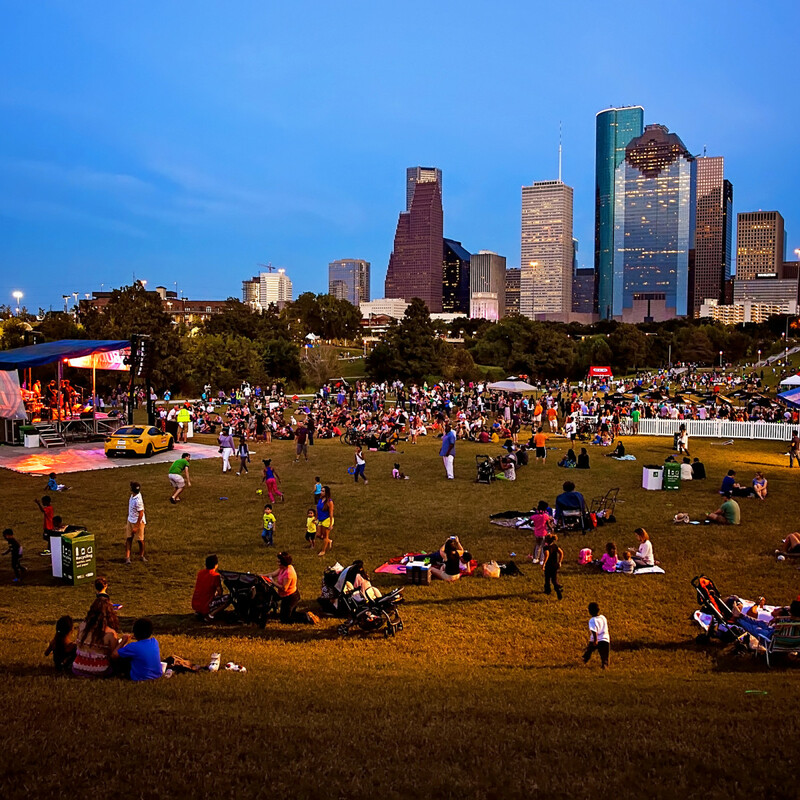 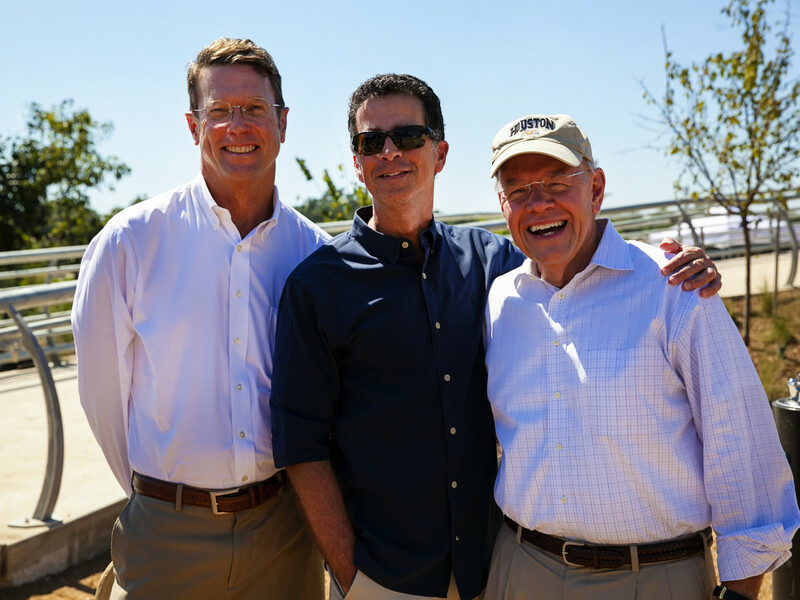 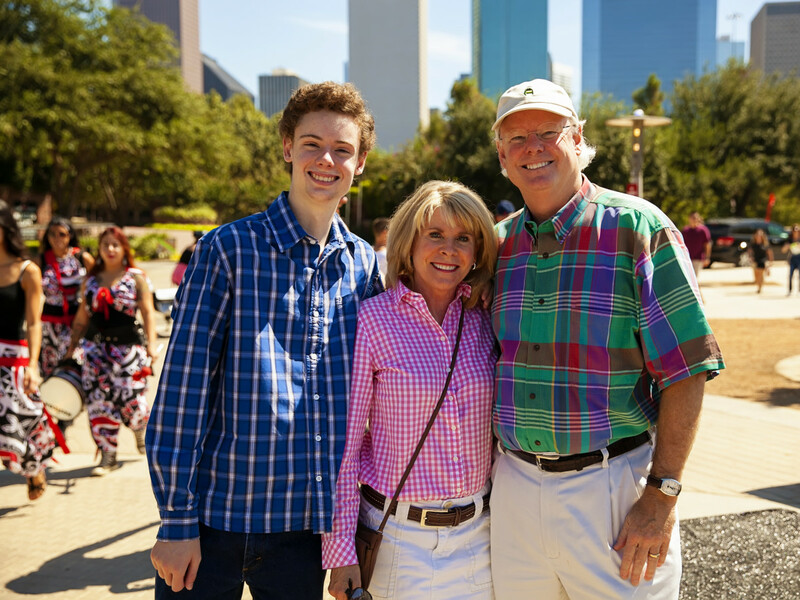 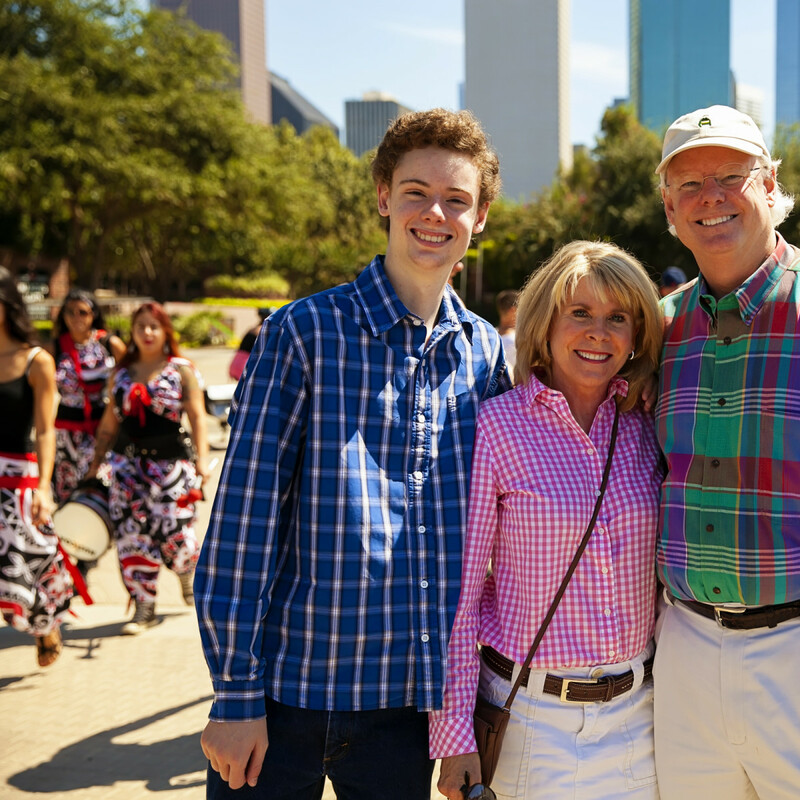 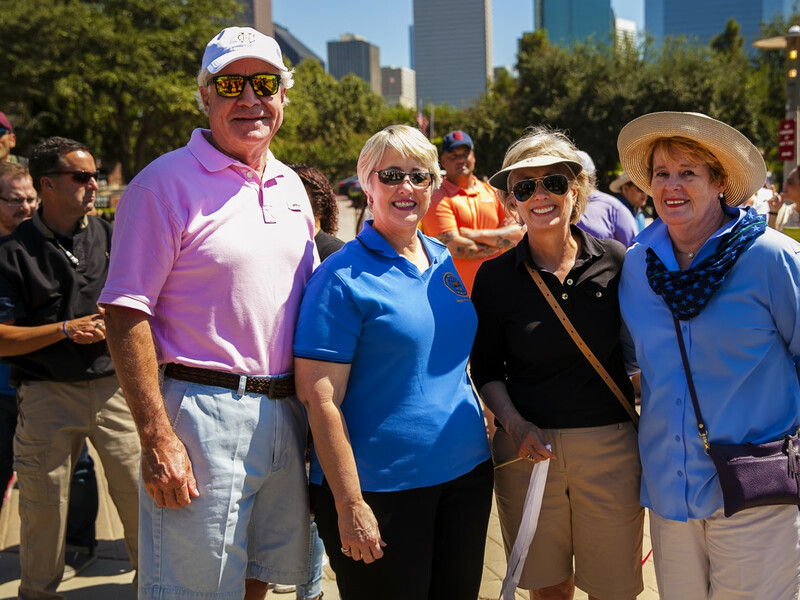 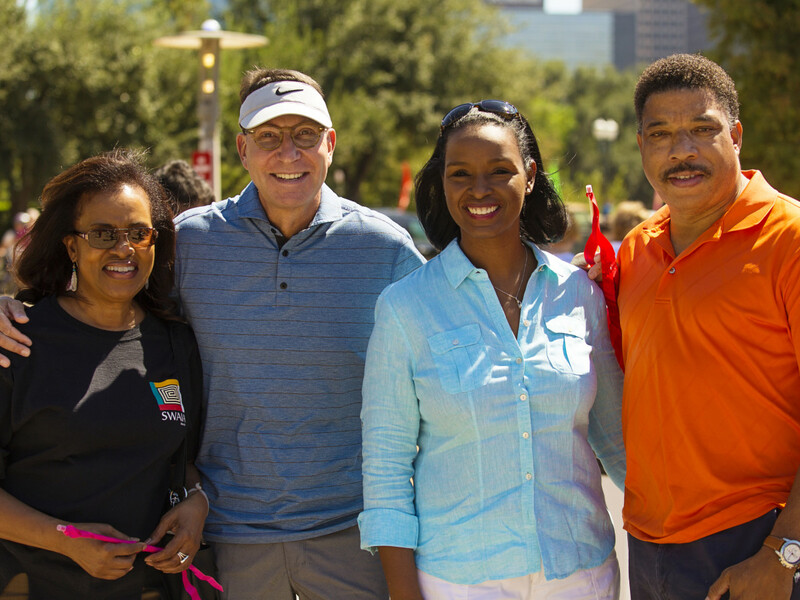 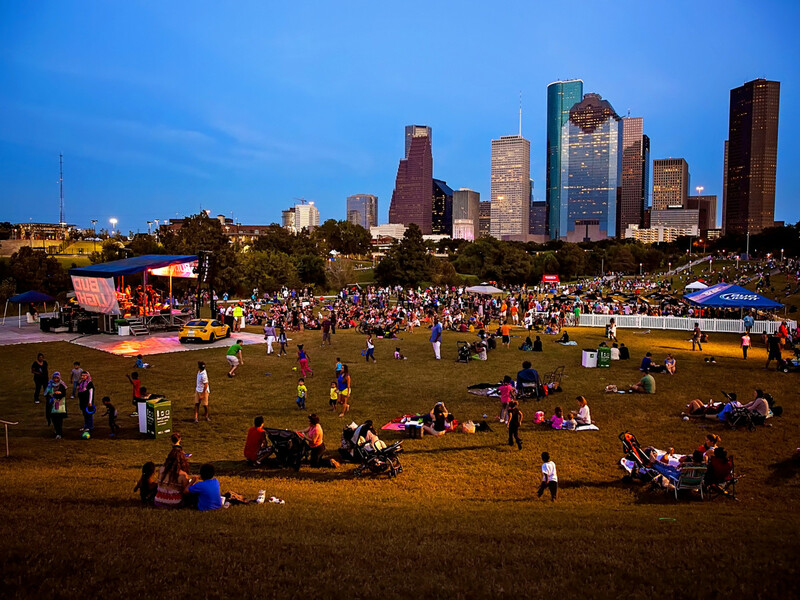 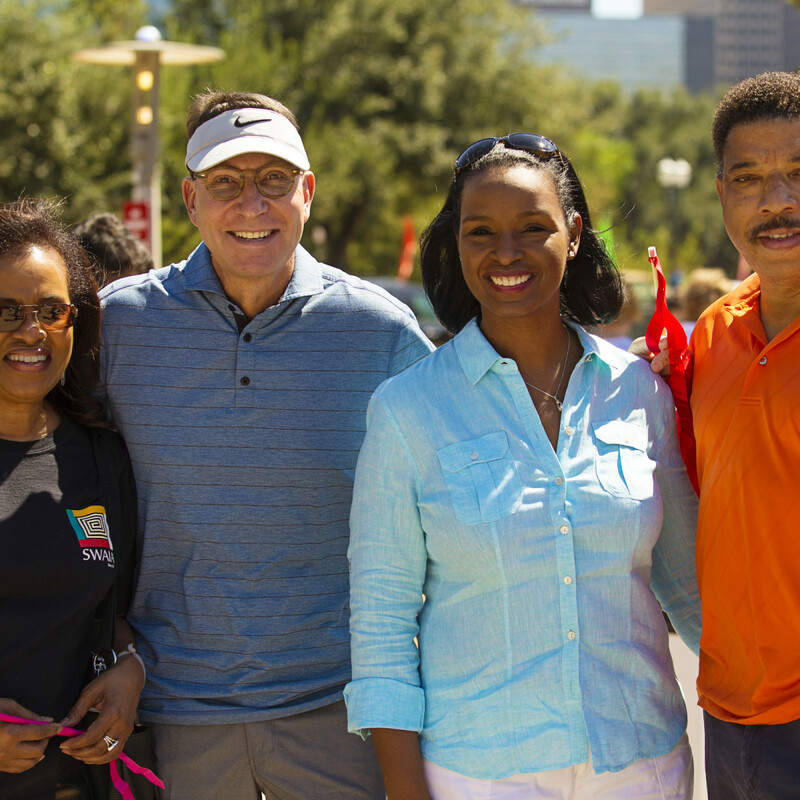 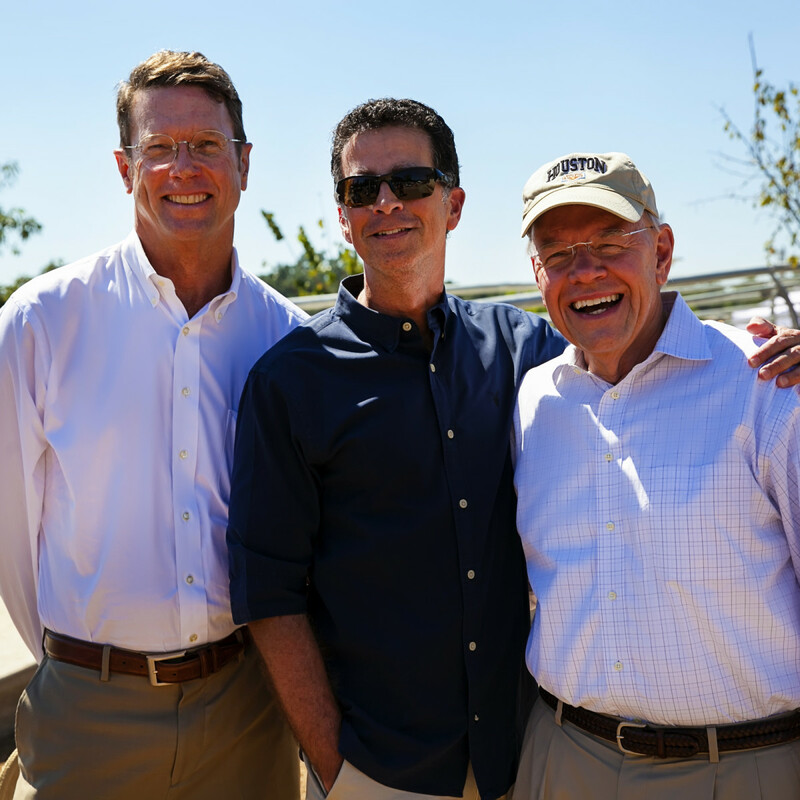 Following speeches and special thanks to Mike Talbott of the Harris County Flood Control District, Bob Eury of the Downtown Redevelopment Authority/TIRZ #3 and Joe Turner, Houston Parks and Recreation Department head, the activity spread throughout the park. 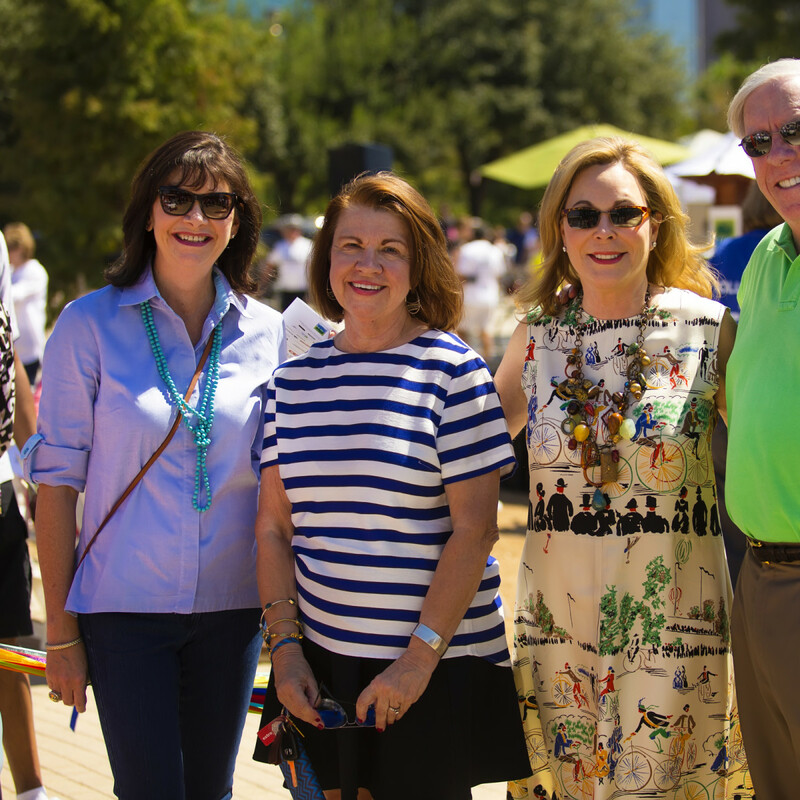 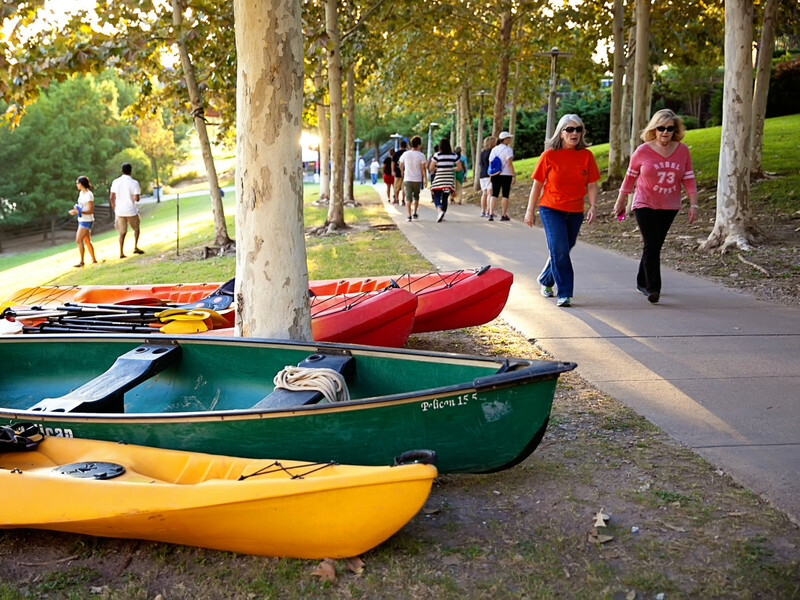 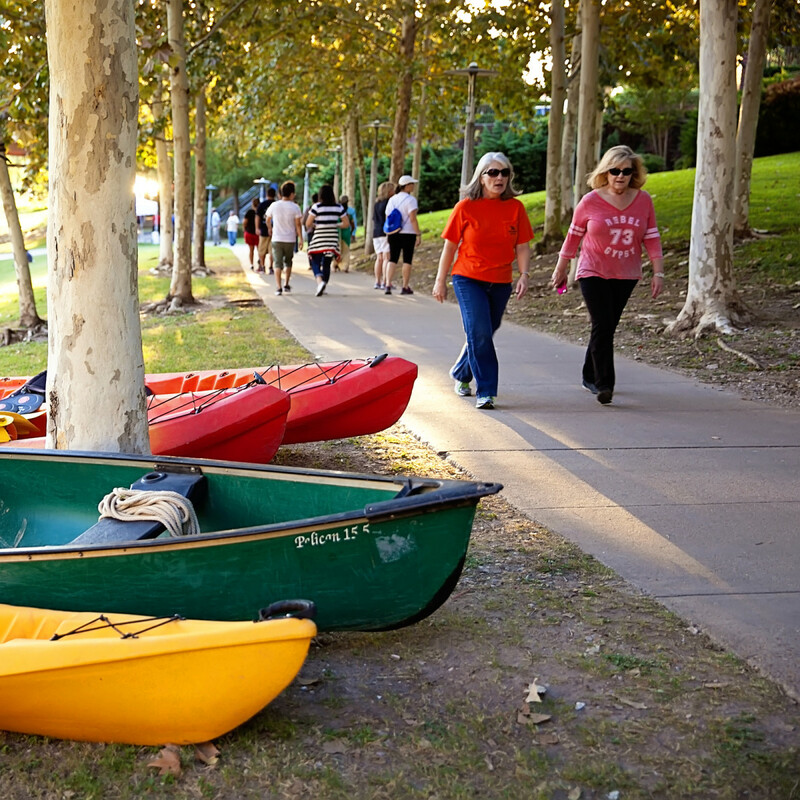 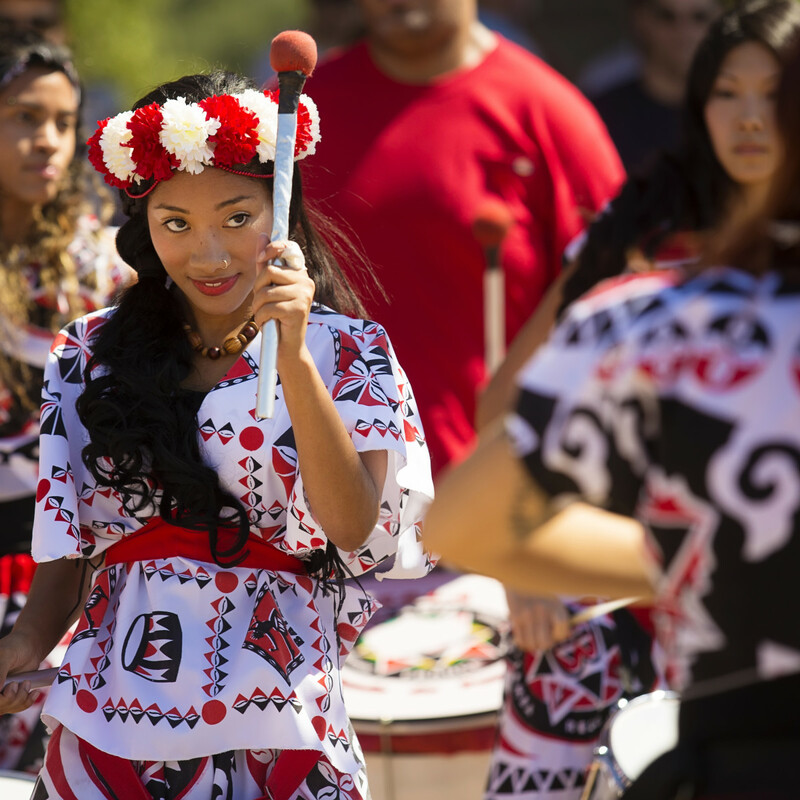 Thousands of visitors joined the festivities that included food trucks, canoeing and live music at the Hobby Family Pavilion while at Eleanor Tinsely Park there was more music, kids' crafts and live music. 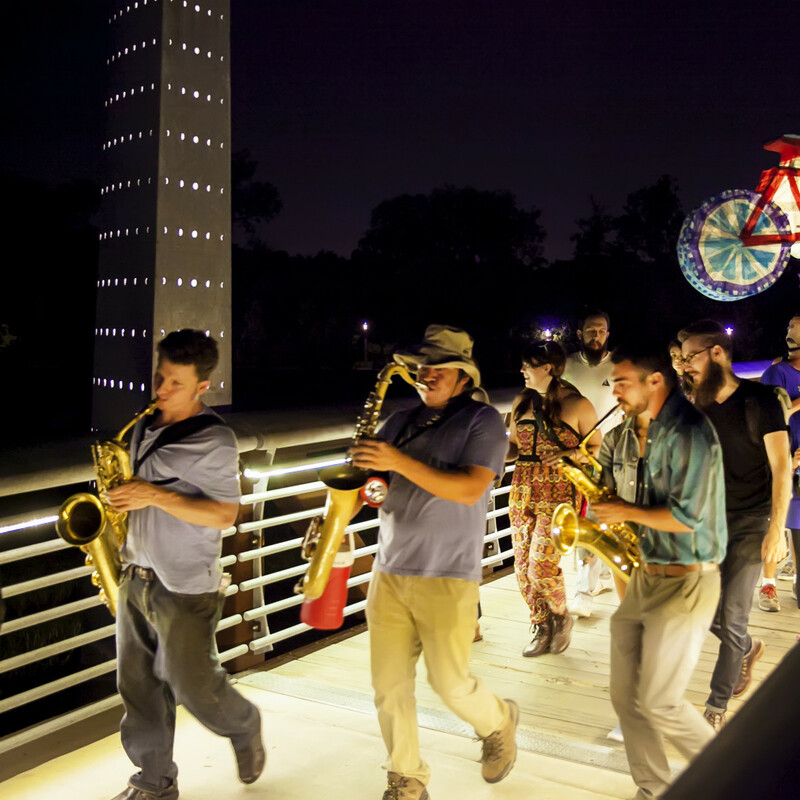 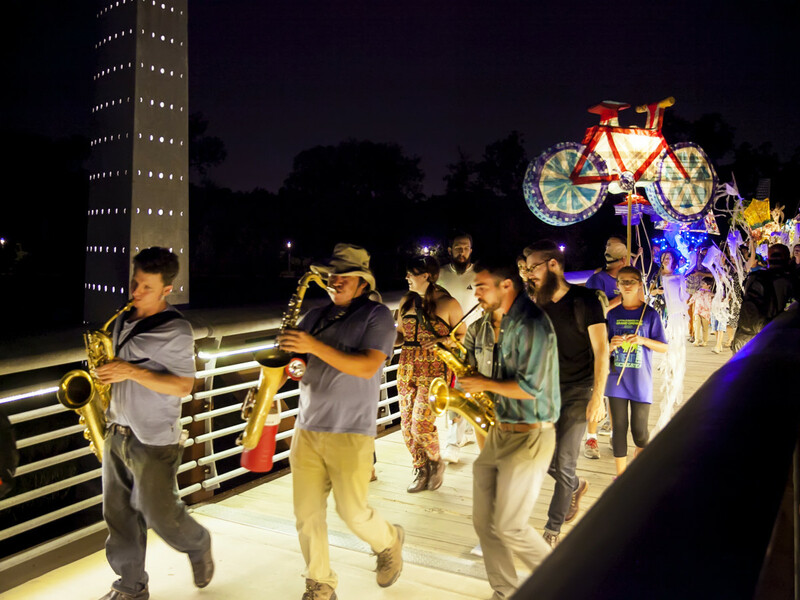 The spectacular part of the celebration began around 8 pm when 250 volunteers carried illuminated lanterns in the "Confluence: A Journey in Five Movements" procession around the park, led by the Batala drum group and the Free Radicals brass band.